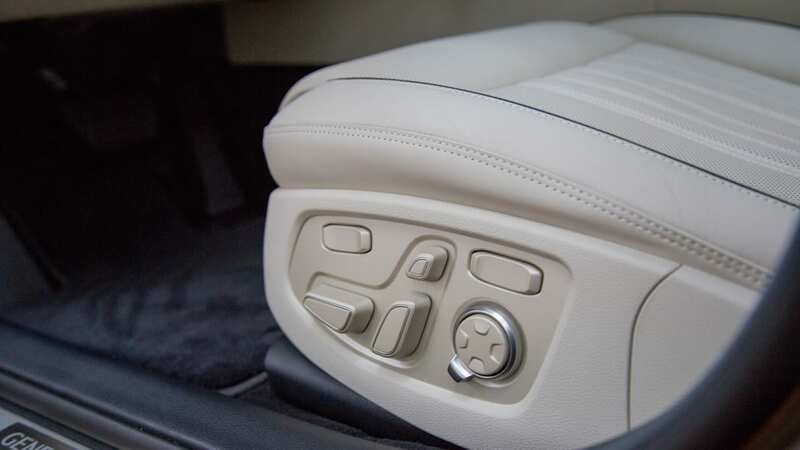 This sedan takes comfort seriously. 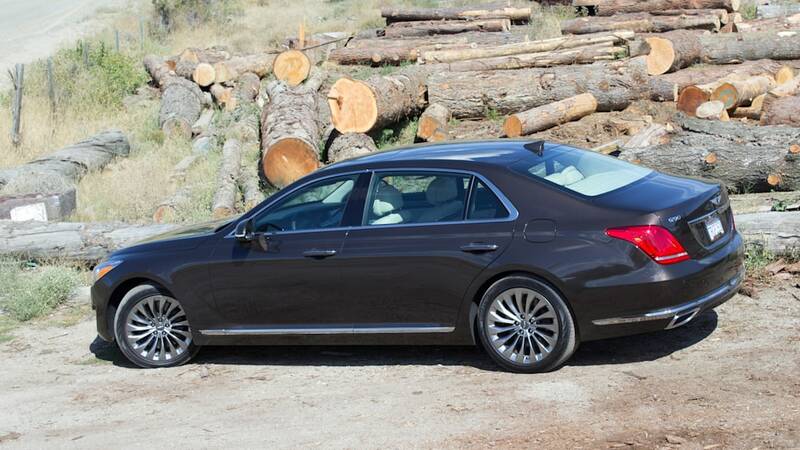 The Genesis G90, new flagship of a new brand, makes me think of Shakespeare. Specifically, the tragedy of Troilus and Cressida, one of the Bard's more obscure and difficult works. But not because that play has much to do with the G90, but because that oft-forgotten work lent the Toyota Cressida, itself an obscure thing, its name. We're playing six degrees of Kevin Bacon with old playwrights and forgotten Toyota sedans because the luxurious Toyota Cressida directly paved the way for the Lexus LS400 to emerge a few years later. Since Lexus was the most phenomenal success to emerge from the late 1980s Japanese luxury brand movement, what better template for success? Genesis's Cressida was the Hyundai Equus. Both were uniquely badged, both sat slightly apart from a much less luxurious lineup. Both were not quite translated to American tastes, attempting to pass off indigenous flavors as export bonuses. The Cressida was pinched and cramped within, and frosted with gimmicky electronics; the Equus was tailor-made to a Korean businessperson's tastes. Both tested the waters and proved to product planners that there was room for a luxury brand. Lose the battle, win the war. Don't tell that to Troilus, though. 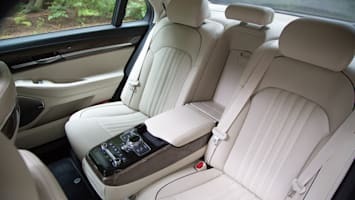 Genesis won't quit with the G90. 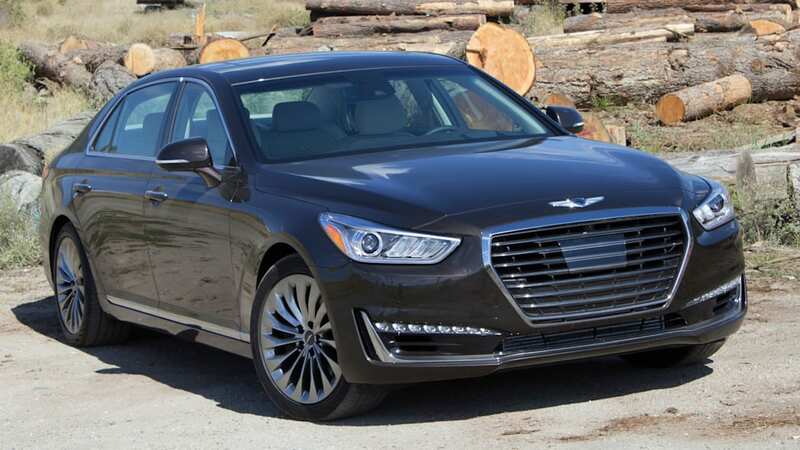 They're planning six vehicles by 2020, and the G80 (the old Hyundai Genesis sedan) is going on sale in September. A smaller G70 sedan will follow up later on. 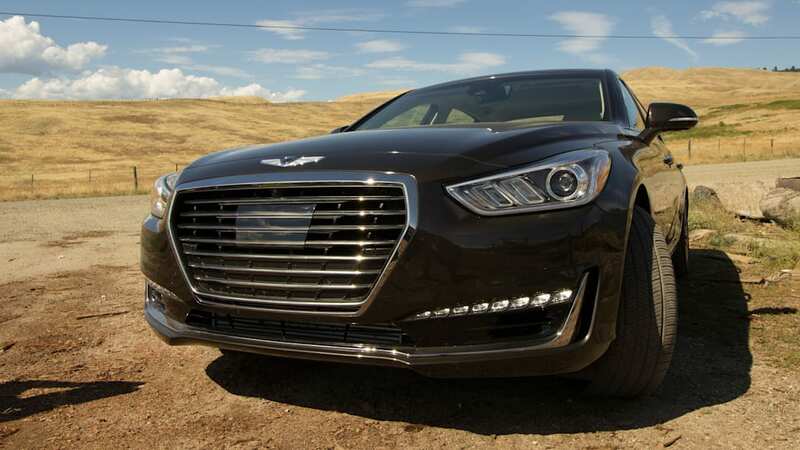 We expect an all-wheel drive coupe (or coupeish four-door) to replace the unloved Genesis Coupe, which should be significantly more upscale and luxurious to compete with the German brands. If it looks anything like the Vision G coupe concept from 2015, that won't be hard. Erwin Raphael, brand manager in the US for Genesis, tells us that a small SUV built on the G70 platform and a mid-sized one built on the G80 platform will follow (and in this SUV-crazy market, can't come soon enough). The slide below, provided by Genesis, shows the way forward. Genesis will craft its luxury brand not only with product, but also with a few customer service pillars that are worth a mention. 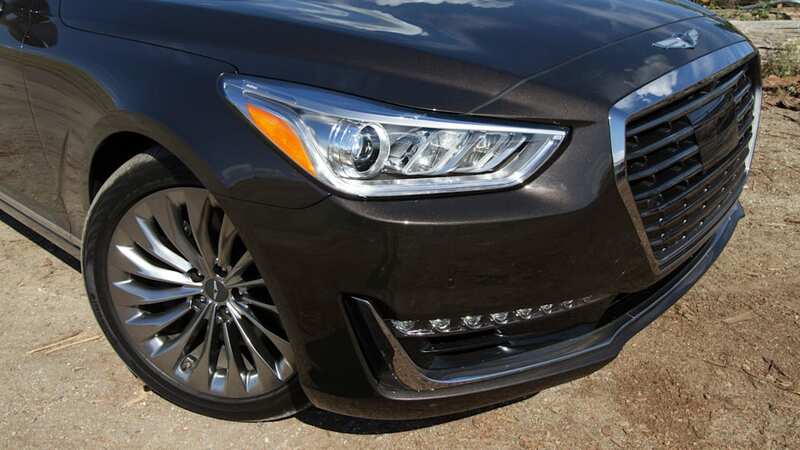 Genesis expects most of their cars will be leased, and so they include a bunch of perks crafted to a typical lease period, like free service. On top of that, all Genesis dealers will offer a valet-style service to pick up your car for maintenance while dropping off a loaner. Other brands and dealerships do this piecemeal, but it will be a brand-wide pillar for Genesis. 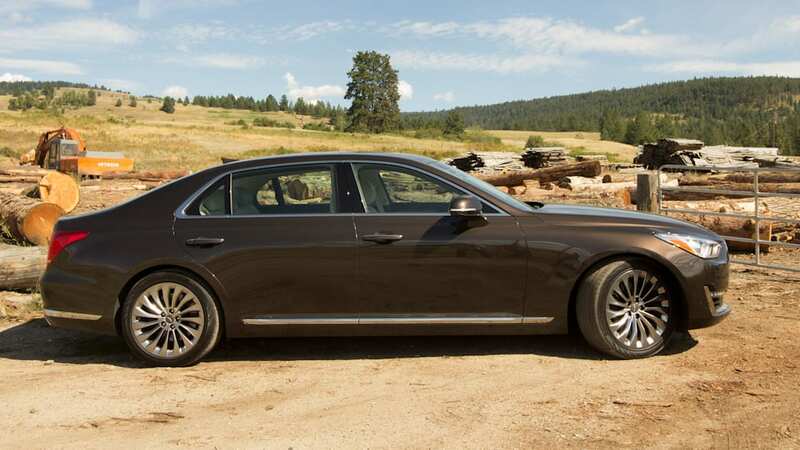 While the G90 will share its Tau V8 with the G80, both rated at an identical 420 horsepower and 383 lb-ft of torque, it's the six-cylinder where things diverge. 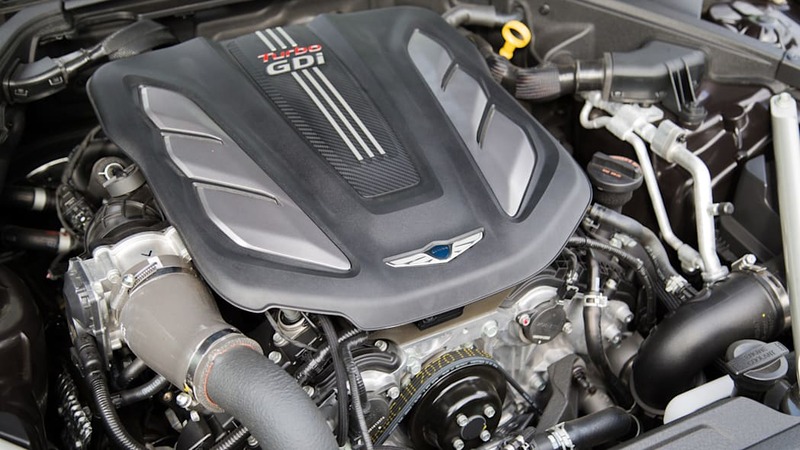 The G80 has a carryover 3.8-liter V6, naturally aspirated, which is good for 311 hp and 293 lb-ft. The G90 will feature an all-new variant of the Lambda family of engines, a downsized and twin-turbocharged 3.3-liter unit that will deliver 365 hp and 376 lb-ft of torque. 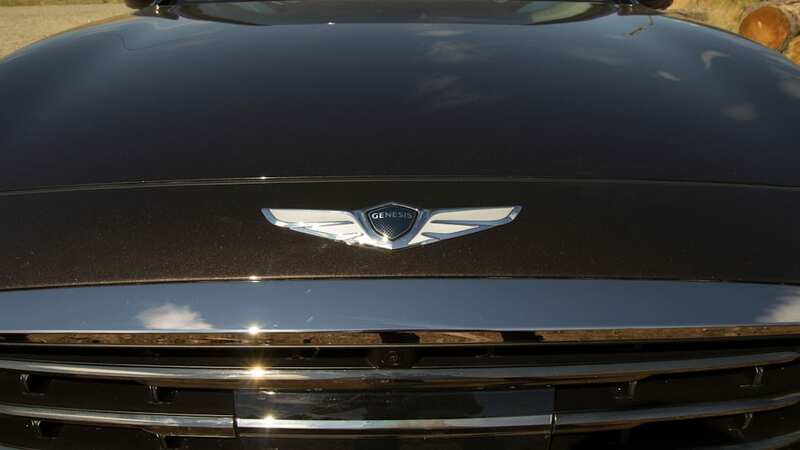 Unlike the 3.8 or the 5.0-liter V8, which both make peak torque at 5,000 rpm, the turbocharged six in the G90 can deliver maximum grunt from between 1,300 and 4,500 rpm. The engine is really the best part of the G90 we tested. There's no rubber-banding as the turbos spool up. To put it another way, it's a turbo V6 doing a great interpretation of a well-tuned, large displacement V8. 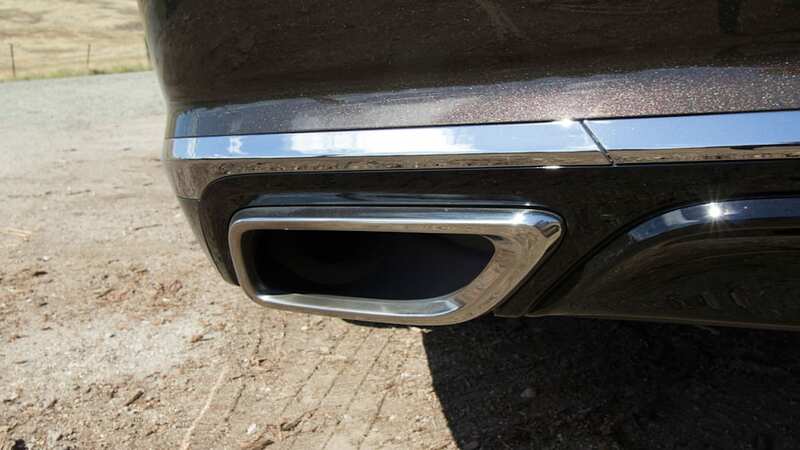 Though it is subdued at mild throttle inputs, the Lambda pipes up with a gruff note when you wale on it – that's at least partly due to a simulated engine noise like many of its competitors use. And there's an absolutely monumental amount of sound deadening under the hood, so I doubt you'd hear a peep from the Lambda if it wasn't piped through the speakers. For the moment, this engine is exclusive to the G90, and let me say bravo to Genesis and its corporate parent. This is exactly what the G90 needs as a base engine. The naturally-aspirated 3.8-liter V6 used in the smaller G80 simply isn't as refined, and needs to work harder (and therefore get harsher) to provide the oomph. 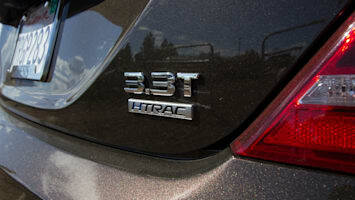 The 3.3-liter turbo engine never breaks a sweat, and the torque is delivered in a delightfully linear manner. I didn't drive the V8 on this trip; it's a great engine, but it's not new. Think of the G90 like a sumo wrestler: it's athletic for its size, but it's no gymnast. 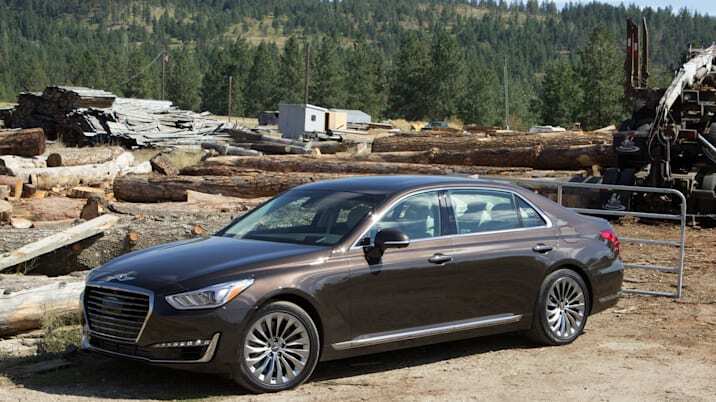 Aft of either engine is an 8-speed automatic, although the G90 includes paddle shifters. This is an internally-developed automatic, not a ZF as you might assume. It does its work quietly and unobtrusively, but push through the well-defined throttle detent and there's a palpable delay before it kicks down a couple gears and moves off. Power is routed either straight to the rear wheels, or to a rear-biased AWD system which is optional on either engine – and one of the few options you can select on any G90, period. 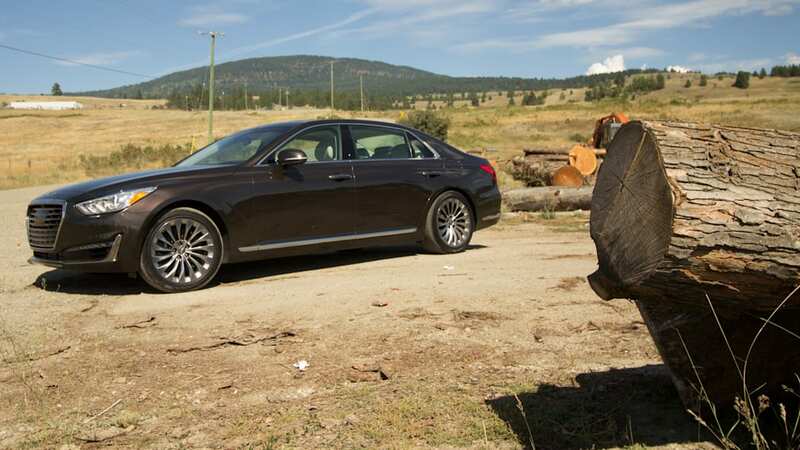 Our drive route, which was a few hundred miles of British Columbian freeway and a little bit of hilly roads, showed that our AWD-equipped G90 tester achieves the right balance between ride quality and floatiness. It's hard to make a large car waft along without boatlike heaving, tossing the occupants around. 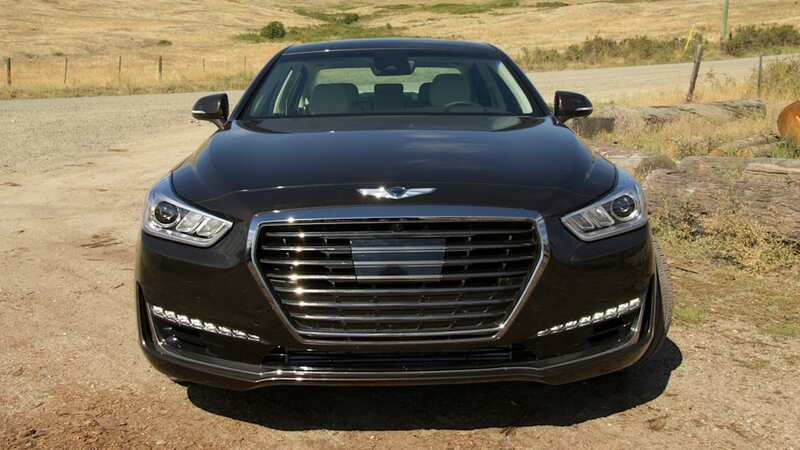 That is, unless you utilize adjustable dampers, which Hyundai started using those on the pre-G80 Genesis sedans and brought to the G90. In normal drive mode ("Smart"), things are floaty but not sloppy. 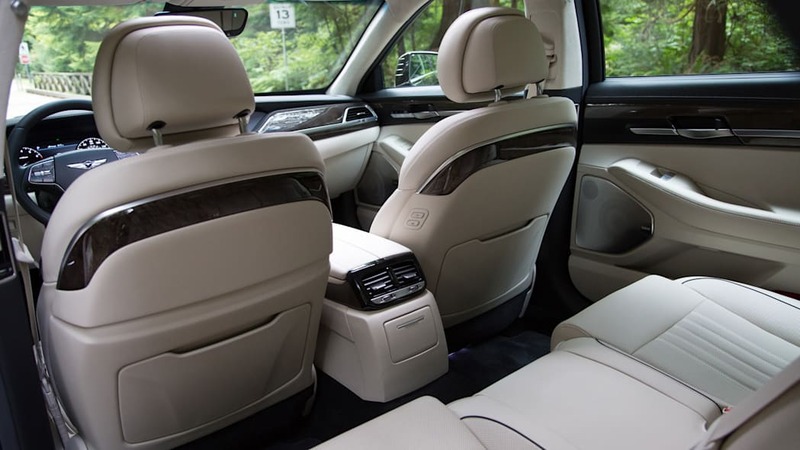 Sport mode brightens up the throttle and stiffens the suspension – just like the new BMW 7 Series, the sportiest mode is the best balance of appropriate ride comfort and firmness. It makes the car feel planted, with just enough roll to let you know you've begun to corner but the grip to keep you on it. Sport does add a ton of artificial weight to the steering without an increased amount of feedback, as if large counterweights suddenly attached themselves to the wheel. Think of the G90 like a sumo wrestler: it's athletic for its size, but it's no gymnast. 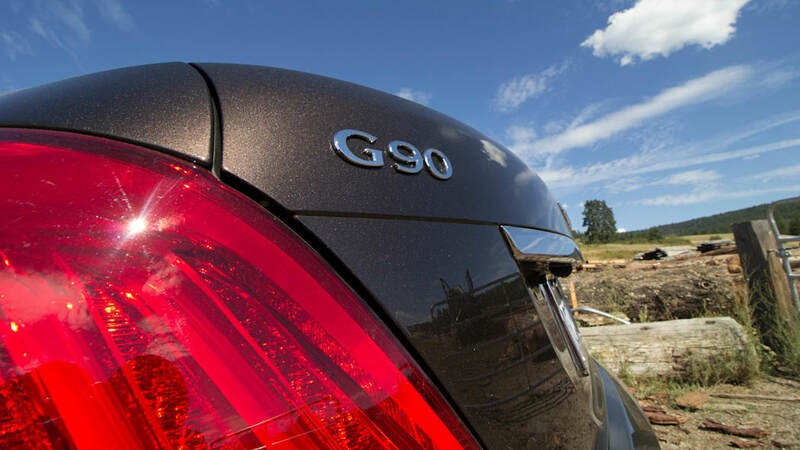 The styling of the G90 looks a bit like a G80 writ large, with well-creased but slab-like flanks. 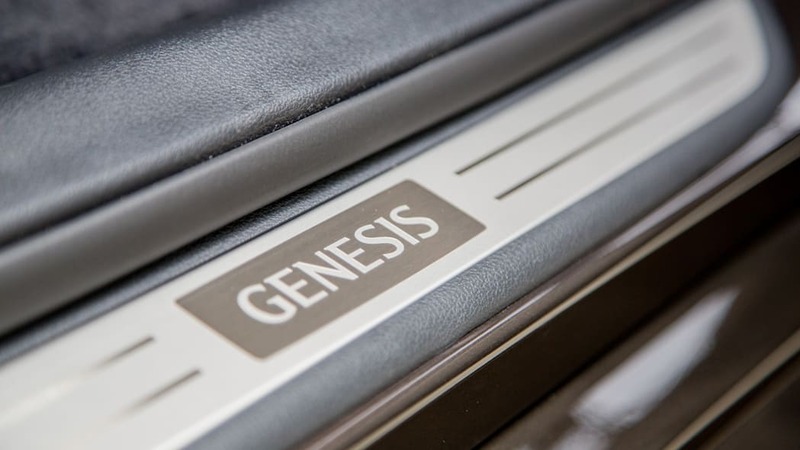 It's suitably imposing to impress the valets, but I wish Genesis had taken a bit more of a chance with a unique design language. 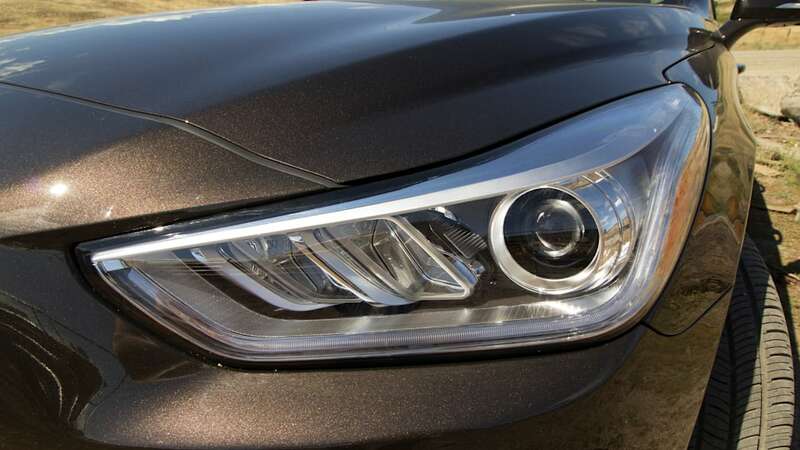 The headlights are too close to the Hyundai corporate design language, and the large-frame grille looks like a bit of Audi, from a few years ago but is blighted with an unsightly rectangular adaptive cruise control housing. Parked at a fancy winery in British Columbia, though, it drew admiring looks and a few questions from onlookers. If the winery set is interested, that's a good sign. 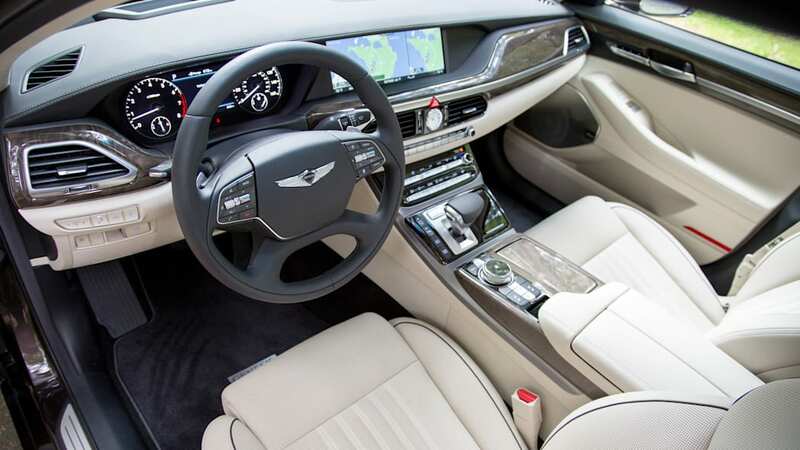 There's a lot to love about the interior, which for a luxury car is essential to get right. The first thing I noticed was the large, crisp infotainment system integrated fully into the dash – no trendy tablet-style unit standing proud on top of the dash, a very of-the-moment styling trope that I don't think will age well. Our tester's creamy beige leather interior and ash grey polished wood trim, set off with dark piping on the seats, were pitch-perfect in terms of contouring, stitching, and overall design. 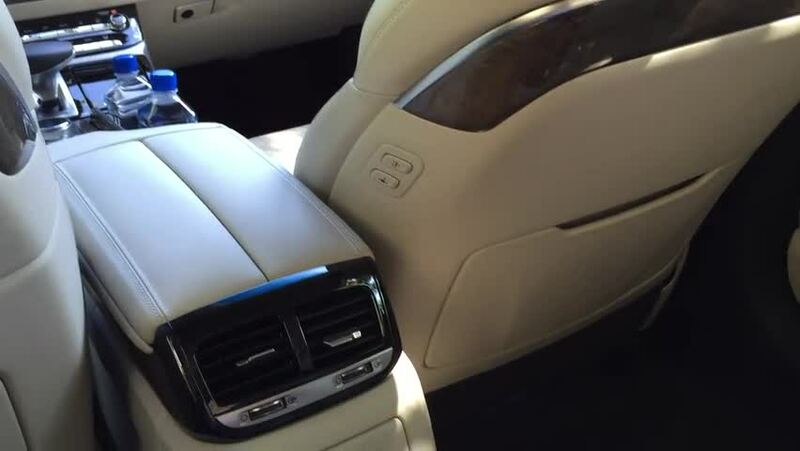 Look away from the dash and I'd be hard-pressed to say if they were Jaguar or Mercedes-Benz chairs. I'd love firmer seat cushions in the rear, but otherwise the seats made me happy. It's also hushed inside, with laminated glass all around and tons of sound deadening. 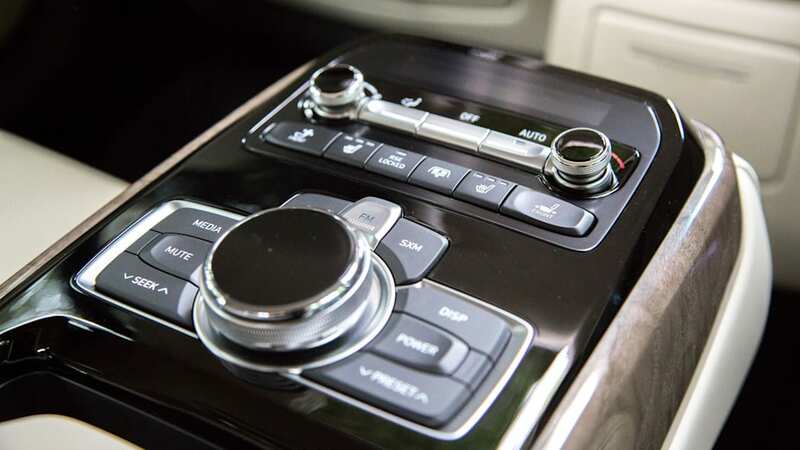 The arrangement of all the controls, and the subtleties of things like the weight of button presses in the center console, all felt appropriate to the class. 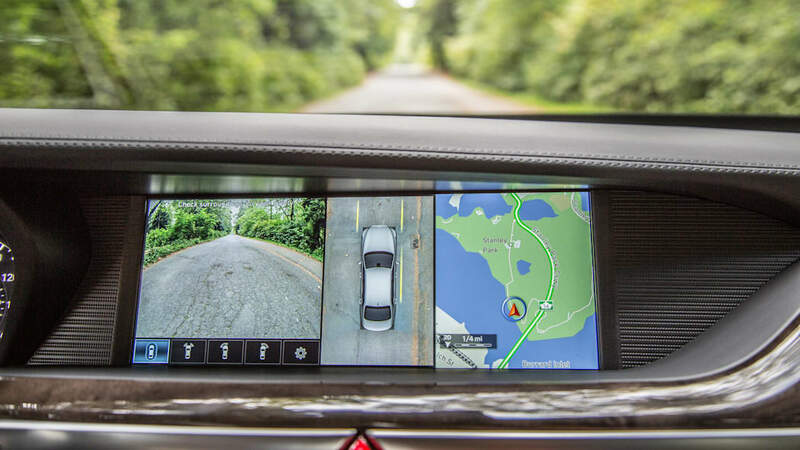 The 12.3-inch high-definition infotainment screen looked beautiful, but the hard plastic that framed it looked like an unfortunate afterthought. The turn signal stalks much classier than Infiniti units, but didn't feel as high quality in use. Just like any modern car, to some degree the G90 constrained by what's in the parts bin. Corporate parent Hyundai's parts bin is getting stronger, and don't expect it to rest on its laurels. 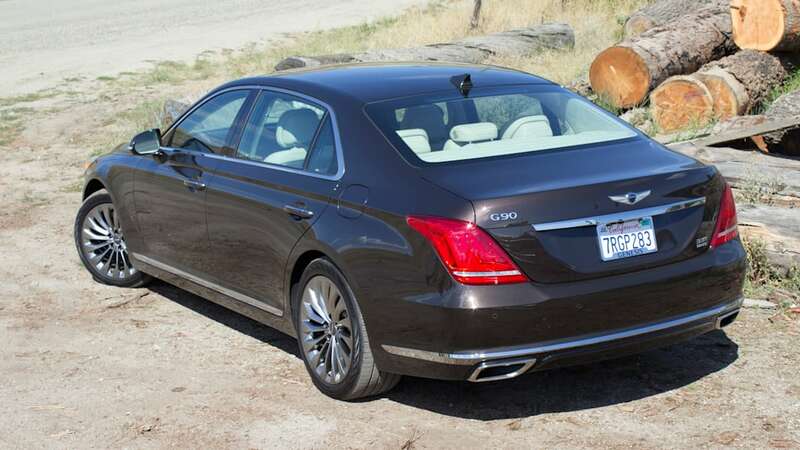 The G90 has shed most of the cheesiness of the RWD-only Equus, which stickered at $68,750 somewhat comparably equipped. 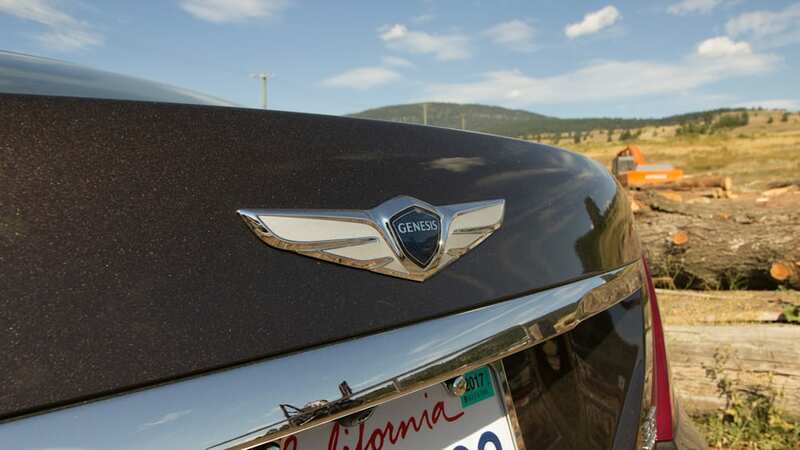 To be clear, Genesis hasn't released any hint of pricing on the G90 yet, so we can only guess if it will be able to command a sticker price in line with both its own luxury pretensions and the rest of the class. But the rest of the class has kept moving, too. 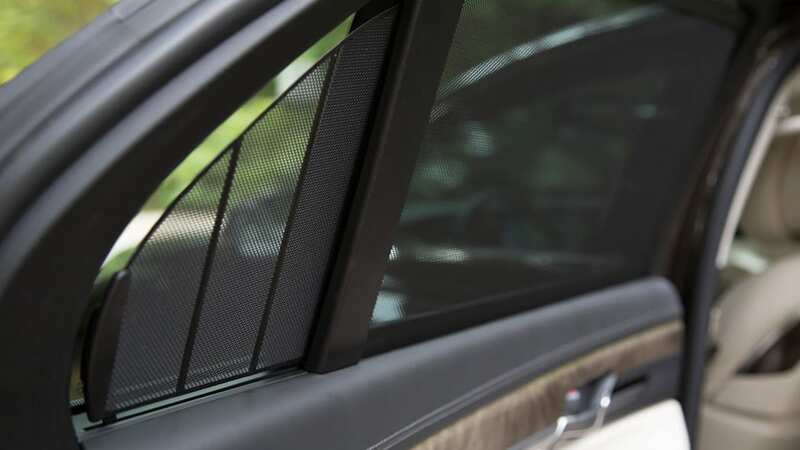 The 740i xDrive is a $85,495 proposition with a 320 hp turbo six, established brand cachet, and innovative materials and tech that the G90 simply can't touch. The Mercedes-Benz S-Class? Right now, it's a mic drop in a segment of supposed equals, with simply stunning interior design and material quality. Like the BMW, it's untouchable. It's the Asian manufacturers that should at least pay attention. 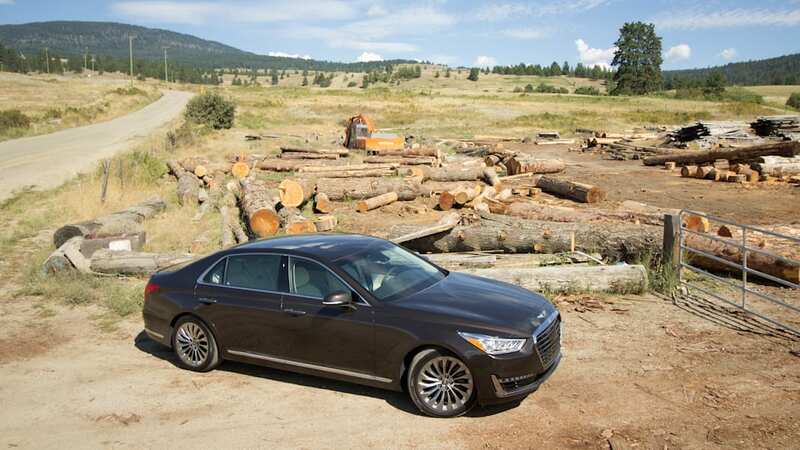 Look past the spindle grille and the Lexus LS 460 AWD, at $88,090 similarly-equipped to a G90, offers comparable aesthetics at a much higher price. Perhaps a few buyers will see a value proposition for the G90 there, depending on how the final pricing works out. Infiniti's Q70L AWD lacks the gravitas, and the Acura RLX is the wrong size and configuration to swim with these whales. 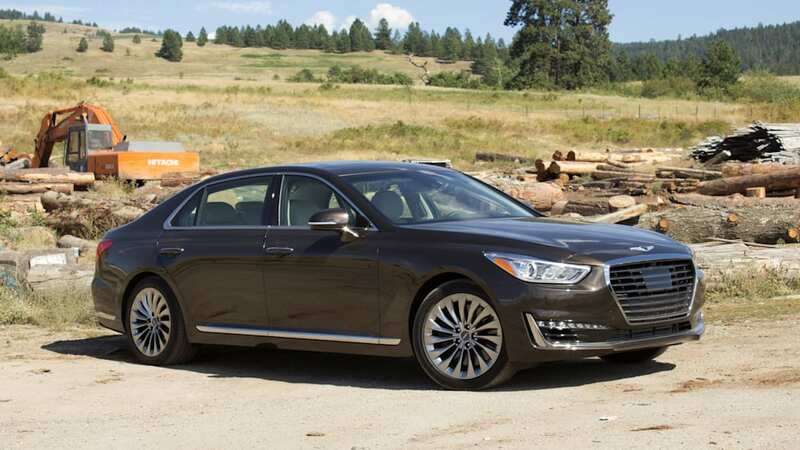 While there's no guarantee that the G90 will reset the bar like the LS400 did back in 1989, Genesis has shed the training wheels we knew as the Equus. 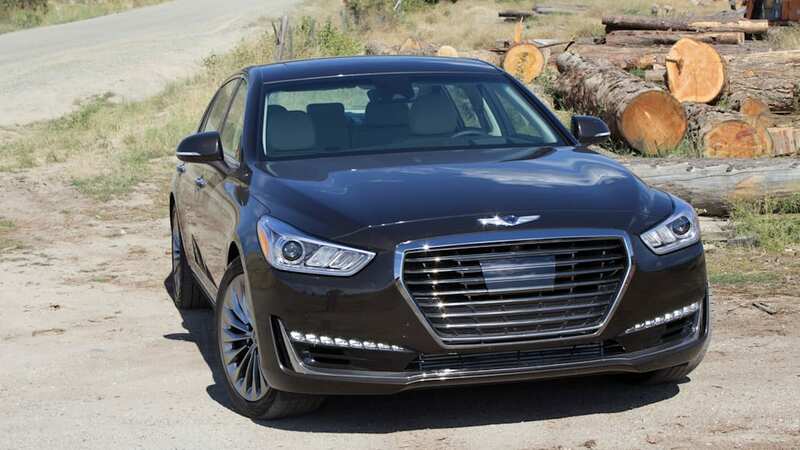 Parent company Hyundai, rushed as it was getting Genesis off the ground, made a serious investment in bringing the G90 up to par, and it shows everywhere you look and in how nicely it drives. 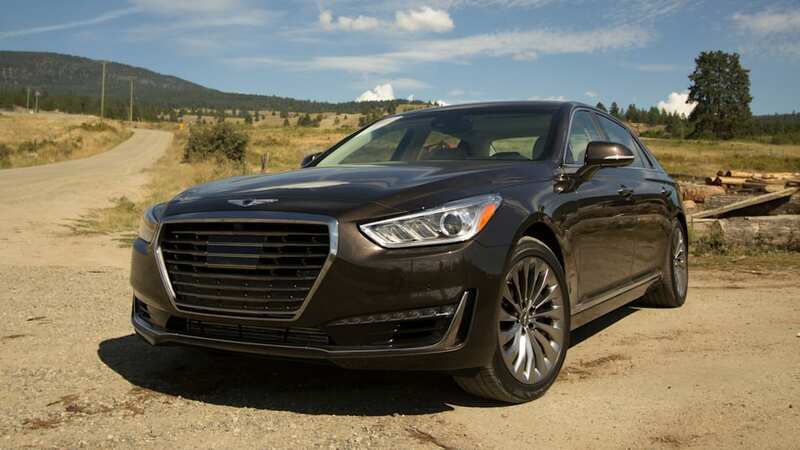 Price and market the G90 right, and Genesis should take some food off its competitors' tables.